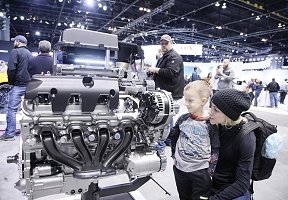 The Chicago Auto Show gears up for another season showcasing nearly 1,000 of the newest cars, trucks and SUVs; demonstrations of the industry’s latest technology; interactive exhibits; family-friendly activities beginning February 9th through 18th at McCormick Place. 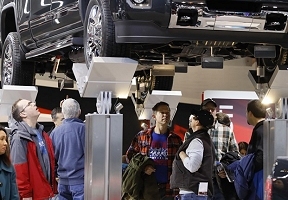 “The Chicago Auto Show not only boasts more than 1 million square feet of exhibit space treating guests to the industry’s latest and greatest glistening automobiles, but it also offers attendees indoor test tracks, where they can ride along with products specialists, and outdoor street driving opportunities that demonstrate vehicle capabilities and handling as well as the latest technology and safety features,” said Chicago Auto Show Chairman Ray Scarpelli Jr.
“The Chicago Auto Show has offered test track and ride-and-drive experiences to our attendees for quite some time now, as we know a key component to our show’s success is to allow consumers to experience these vehicles,” said Chicago Auto Show General Manager David Sloan. 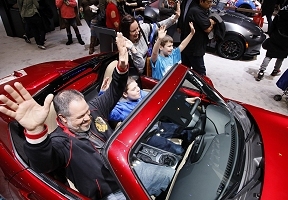 “We’re also incredibly fortunate to have a great venue like McCormick Place, with its expansive design and convenient, single-level layout.” The Chicago Auto Show will also continue to offer new and exciting opportunities for fans to get into the action through social media. 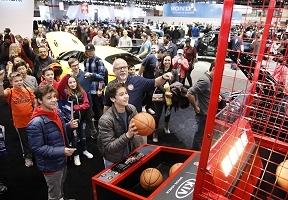 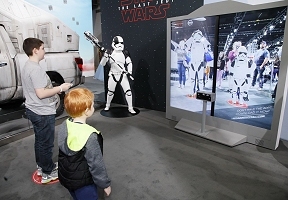 New and returning digital experiences include the official Chicago Auto Show mobile app, a virtual tour guide taking fans behind the scenes; #CAS19 BUZZHUB, a social engagement space featuring real-time news feeds and impressive photo backdrops; and ongoing social media contests leading up to and during the show, accessible by connecting with the Chicago Auto Show on Facebook, Twitter, Instagram and Snapchat. 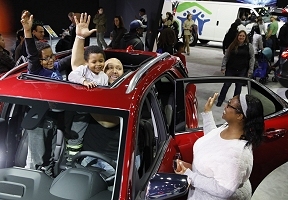 For more information on the 2019 Chicago Auto Show, please visit www.ChicagoAutoShow.com.